Get natural sound out of PCM1704 without Oversampling and Digital filter. 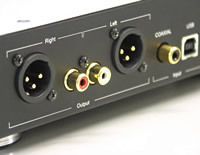 Two Digital Audio ( High Speed USB and S/PDIF COAX ) input. No installation dedicated driver. Ready for 24bit/192kHz USB HD Audio stream. Noise free, Cross-talk free design. The first 24bit/192kHz USB Multi-bit DAC(PCM1704). RAL-24192DM1 debuts as the first USB-DAC with PCM1704. RAL-24192DM1 doesn't use DF1704 8 x Oversampling and Digital Filter chip. 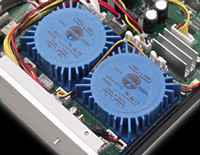 It's Internal firmware control PCM1704 directly and bring out pure and natural sound from the DAC. These two Multi-bit DACs are driven by Low-jitter Bit-Clock, Word- Clock and Master-Clock generated by X-Tal Oscillator module.design. 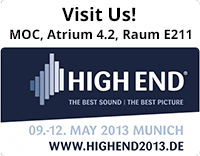 RAL-24192DM1 is fully compatible with USB Audio Class 1 and works with EHCI High Speed High Band Width mode. RAL-24192DM1 never required dedicated driver software. It's fully compatible with Windows 7/Vista/XP(32/64) and MacOS X 10.6.5 or later. Works fine with many Music Player application such as iTunes, MediaPlayer,foobar2000 etc. and BitPerfect, WASAPI, ASIO drivers. RAL-24192DM1 doesn't use DIR(Digital Interface Receiver). 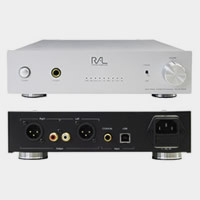 RAL-24192DM1 includes software S/PDIF decoder, End Point(memory buffer) for 192 Frames and Timing/Control signal generator for Multi-bit DAC(PCM1704). The timing/Control signal generator circuit is fully driven by dedicated two independent X-Tal Oscillator modules (24.576MHz and 22.5792MHz). This circuit provides low jitter Bit-Clock and it drives D/A converter accurately. A pair of Un-Balanced Stereo Lineout. L, R Ch. RCA Jack. 2Vrms. A pair of Balanced Stereo Lineout. L, R Ch. XLR Receptacle(Male). +4dBv. 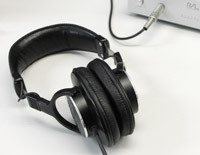 * All output levels are measured with 24/96kHz 1kHz/0dB input level through USB. Separated Power supply circuits and trans for Digital 3.3V/1.0V, DAC Vdd +/-5V and Analog Vcc +/- 13V. Impedance controlled four layer P.C.B. Fully isolated circuit and P.C.B. layout design between Digital block and DAC/Analog block. 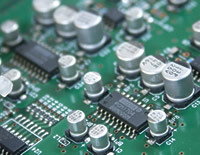 ESD protected input/output and low EMI design.